As the state pursued plans to build a second Detroit bridge crossing to Canada, Rep. Paul Opsommer, a Republican from DeWitt, was a vocal opponent. Opsommer was referring to Detroit’s Ambassador Bridge, property of billionaire Manuel “Matty” Maroun, who mounted a campaign to kill the new bridge project. From his seat in the legislature, Opsommer wrote columns for local newspapers opposing the competing bridge. He argued for passage in 2012 of a constitutional amendment to force a public referendum on the new crossing. The amendment failed. Opsommer was term limited from the House at the end of 2012. But he soon landed on his feet – securing a job as director of government affairs for CenTra, Inc., the holding company which controls Maroun’s Ambassador Bridge. He registered as a lobbyist in April 2013, less than 100 days after his final term in the House ended. Across the aisle, Lesia Liss, a Democrat from Warren who left the House at the same time as Opsommer in 2012, registered as a lobbyist five months later. From 2011 to 2012, Liss was minority vice chair of the House Health Policy Committee, which is in charge of health care-related legislation. In 2013, according to committee minutes, she began appearing before that same committee on behalf of a health insurance company. As elected lawmakers, Liss and Opsommer co-sponsored bills that would have delayed their transition from lawmaker to lobbying for industries that come before their former colleagues. The proposals would have barred legislators from becoming lobbyists for a set period of time after leaving office. Unlike Michigan, more than 30 states already have similar “cooling-off” measures in place, according to data from the National Conference of State Legislatures. Facing term limits, 38 lawmakers departed the Michigan House at the end of 2016. If recent history is any indication, several will become lobbyists, and those who do will most likely make the jump within the next six months. 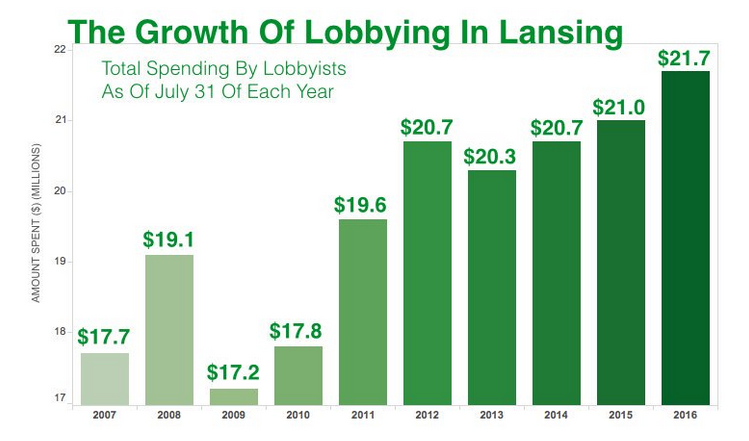 Advocates of implementing a cooling-off period in Michigan argue that delaying the transition to lobbying would prevent conflicts of interest that arise out of term-limited lawmakers looking for their next jobs. Rep. Jim Runestad, R-White Lake, sponsored a bill last year that would require lawmakers to wait 18 months after leaving office to become a registered lobbyist. He said he doesn’t want colleagues having their eye on the next job as they enact legislation before leaving. Rep. Jim Runestad, a Republican from White Lake, sponsored a bill last year to institute an 18-month waiting period before former lawmakers can become registered lobbyists. The waiting period is commonly described as a cooling-off period. Runestad said that because of state-mandated term limits, there’s pressure for lawmakers, who can serve only six years in the House and eight years in the Senate, to be searching for their next employment before their terms end. Reviewing a list of more than 1,000 registered lobbyists in Michigan, Bridge Magazine and the Michigan Campaign Finance Network found 44 former Michigan legislators. Of those, 28 — 63 percent — registered as lobbyists within a year of leaving their posts in the House or the Senate. Twenty-five registered as lobbyists within six months of leaving office. More than two decades ago, it was former House Speaker Lew Dodak, a Democrat, who made the jump to lobbying within a week of leaving the House at the end of 1992. Dodak, who had been defeated in his re-election bid, ended up launching his own consulting and lobbying firm. In a recent interview, Dodak said he doesn’t see any inherent ethical conflict with legislators who turn to lobbying. Dodak said he views it as a means to capitalize on expertise that legislators acquire while in office. In the fall of 2004, then-House Speaker Rick Johnson, a Republican, was contemplating a life after politics. According to the Traverse City Record Eagle, Johnson said then he was considering returning to his family farm south of Cadillac. By December 2004, though, it looked like he had something other than farming on his mind. 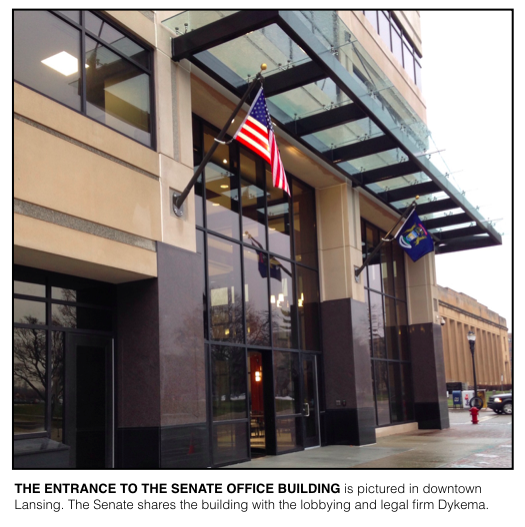 In a report by the Lansing news service Gongwer, Dodak said he would “love” to have Johnson join the lobbying firm, then called Dodak, Kelly & Associates. Dodak added that Johnson had even asked if he could store “some stuff” at the firm’s Lansing offices. Johnson joined the firm a few days later as a registered lobbyist. In 2011, the firm added another ex-lawmaker as a lobbyist, former Democratic Lt. Gov. John Cherry. 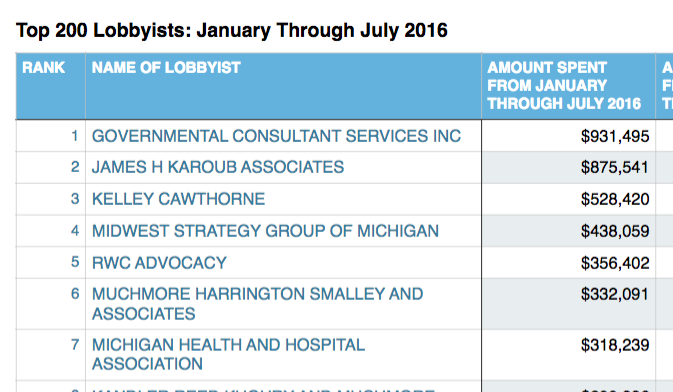 Dodak, Johnson & Associates is now among the most active multi-client firms in Lansing, with nearly $230,000 in disclosed spending on lobbying efforts in 2015. Its clients include Aetna Inc., Blue Cross and Blue Shield of Michigan, the Council of Michigan Dental Specialties and the Michigan Coin Operators Association. Johnson and Cherry are just two examples of lawmakers joining multi-client firms, where there’s little information available to the public about what specific issues former lawmakers are working in their post-public service careers. Former Reps. Frank Foster, a Republican from Petoskey, and Eileen Kowall, a Republican from White Lake, left the House at the end of 2014. 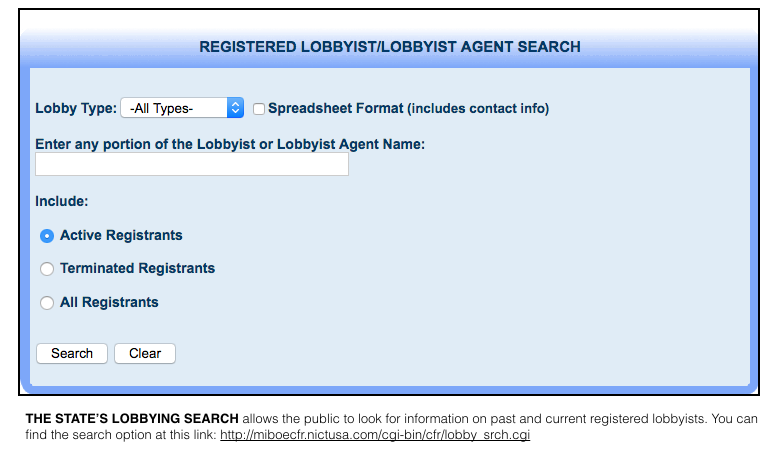 Foster registered as a lobbyist for Public Affairs Associates. on Jan. 15, 2015. Kowall registered as a lobbyist for MGS Consultants on Feb. 19, 2015. Other former lawmakers have hired on with government agencies as their lobbyists, including former Rep. Andrew Kandrevas (D-Southgate*), who began representing Wayne County within a month of leaving office. Similarly, former state Sen. Alan Cropsey (R-DeWitt) now represents the Michigan Attorney General’s Office. Other lawmakers went on to work for companies, like Opsommer and Liss. Through a spokesperson, Liss, who works for Health Alliance Plan, declined to be interviewed for this article. Opsommer didn’t respond to multiple requests for comment. In 2015, Opsommer told the Mt. Pleasant Morning Sun that in his new job he would work on international bridge issues if given a chance. Former Senate Majority Leader Ken Sikkema (R-Wyoming) also went on to represent a business interest after leaving the Legislature in 2006. He registered as a lobbyist five weeks after finishing his second four-year term in the Senate. Sikkema lobbied for about two years for a development firm seeking to build a $400 million retail, residential and office park in suburban Grand Rapids that was to be anchored by a sprawling Cabela’s store. Sikkema’s job was to help the firm secure state tax credits that would boost the project’s chance of success. “It was like, ‘Can you help us sort of navigate all of this?’” Sikkema recalled. Sikkema is now a senior policy fellow at Lansing-based Public Sector Consultants, a research and program management firm. (Disclosure: The Center for Michigan, which includes Bridge, is a client of PSC and does work with Sikkema). He said he registers annually as a lobbyist because he regularly testifies before the Legislature on various research projects conducted by his firm. Sikkema is skeptical that a required cooling-off period before lawmakers can become lobbyists would make much difference in Michigan’s ethical landscape. 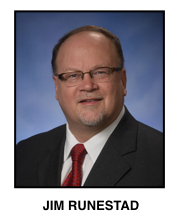 State Sen. David Knezek (D-Dearborn Heights*) says the problem with lawmakers immediately becoming lobbyists lies in lawmakers looking for their next jobs while still supposedly serving the public. Lawmakers could end up putting their personal interests above the interests of their constituents, Knezek said. Last session, Knezek proposed implementing a two-year cooling-off period before former lawmakers can make the jump to lobbying. Like Runestad’s bill, Knezek’s didn’t advance. “I think this is a great way to work to restore faith in government and I think it’s an important step that we need to take as a state to bring integrity back to the political process,” Knezek argued. Lawmakers have introduced bills to institute cooling-off periods every session for the last decade. They’ve come from Democrats and Republicans. Rep. Martin Howrylak (R-Troy) said he is planning to introduce a proposal in the 2017-2018 session. According to legislative records, a majority of current state senators have co-sponsored a cooling-off proposal at one time or another over their careers. Asked why such a law hasn’t been enacted in Michigan when there’s been support, Knezek said he couldn’t speak for other lawmakers, but thought someone likely has “flexed their influence” to make sure such a proposal doesn’t come up for a vote. Of the states with cooling-off laws, the restrictions in most range from six months, which two states have, to two years, which at least 20 states have, according to the NCSL. Other states, like Maryland, ban lawmakers who left office from lobbying until the end of the next legislative session. Some states’ laws impact lawmakers, legislative staff and top administration employees. Others just cover one of those three groups. In Michigan, the state bans lawmakers who resign from office from lobbying until the end of the term in which they were serving. That ban doesn’t impact key staffers, who can move freely from the Legislature to lobbying the Legislature. In December, Governmental Consultant Services Inc. (GCSI), one of the state’s five largest multi-client lobbying firms, announced it was hiring Bob DeVries, who had been Senate Majority Leader Arlan Meekhof’s chief of staff, as a lobbyist. DeVries is now able to lobby Meekhof, who has two years remaining in the Senate. “His understanding of the legislative process, political instincts and genial personality will undoubtedly help GCSI continue to win for our valued clients at the state Capitol,” GCSI director Michael Hawks said in an announcement. As a candidate for governor in 2010, Gov. Rick Snyder proposed a mandatory cooling-off period of two years for former lawmakers and senior appointed officials in his administration. But some who served in Snyder’s administration disagree, and have made the transition to lobbying. Dennis Muchmore, Snyder’s former chief of staff who is now a registered lobbyist for the powerful law firm Honigman Miller Schwartz and Cohn, said that when it comes to administration employees, governors are going to hire people with experience inside and outside of government. When those employees leave, Muchmore said, they are likely going to return to what they were doing before. “I don’t understand how you expect to get people inside government if they can’t go back to the private sector once they’re done in government,” Muchmore said. Muchmore was registered as a lobbyist in the state from 1983 until 2010 before joining the Snyder Administration in 2011. He left the governor’s office in January 2016, according to an announcement, then registered as a lobbyist the following month. Muchmore said there are other problems with state lobbying laws that need to be addressed, covering issues like disclosure and reporting requirements. If a cooling-off period were implemented, ex-lawmakers would find ways around the law, Muchmore predicted, by taking jobs that don’t require public reporting, like consulting positions. Under Michigan law, individuals who are paid to communicate directly with state officials to influence their actions are supposed to register as lobbyists. But individuals who are paid to simply advise interest groups can avoid registering. Knezek disagreed with that argument against a cooling-off period. He said some people try to get around the law no matter what the law is. “I am not going to let a very serious problem go unaddressed because we’re going to let perfection get in the way of making progress,” Knezek said. * This story originally listed former Rep. Andrew Kandrevas as being from Southfield. It should have been listed as Southgate. 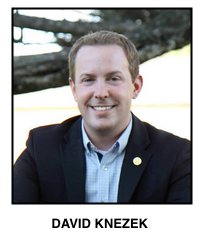 Rep. David Knezek is also from Dearborn Heights. * The story originally cited Crain's Detroit Business as the source of the comment. But the comment was made to Bloomberg and re-published by Crain's.